Aside from the attributes of Sientra breast implants I mentioned my first article on why Sientra breast implants are special; that they feel so natural, that they are only available to board certified surgeons and they have the lowest rate of ALCL for implant manufacturers, let me cover the remaining reasons why I only use Sientra breast implants and why, if you are considering a breast augmentation, you should seek out plastic surgeons who use these implants exclusively for breast augmentation. 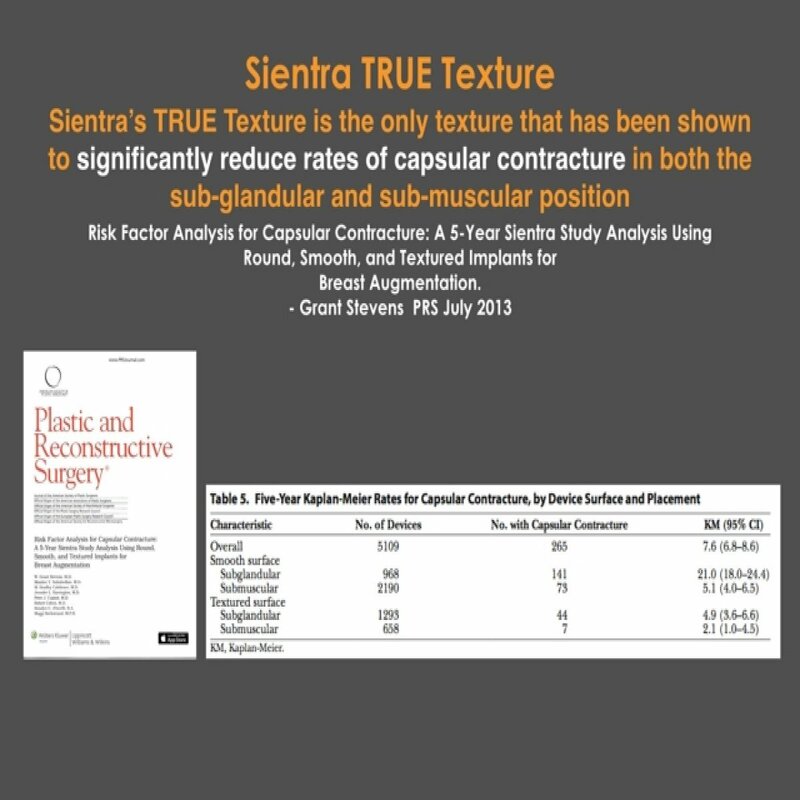 Sientra breast implants have the lowest rupture rate. This is undoubtedly because Sientra implants have the strongest shell of the breast implants available on the market today. In addition, their implants are filled with high strength cohesive gel (HSC gel) that is bonded to the shell. This bonding further increases the strength of the implant and if it should rupture the HSC gel is truly a “gummy bear” breast implant as seen in this video. Aside from getting a new size, the reason why many breast augmentation patients have a reoperation at some point is because of capsule contracture. Breast implant capsule contracture occurs when the scar tissue or capsule that normally forms around the implant tightens and squeezes the implant. There are different degrees of capsule contracture. The breast and underlying implant can become a little firm but the breast itself looks normal. In more severe cases the breast becomes firm or hard and has some degree of visible distortion or looks abnormal. In severe cases, the augmented breast is not only hard and distorted, it is also painful. When capsule contracture occurs, it is often slowly progresses over time to the point that many patients seek corrective surgery. Fortunately, the medical literature has shown that Sientra implants have the lowest capsule contracture rate of all the implant manufactures. We do not know for sure what causes breast implant capsule contracture but it may, in part, be related to such things as, incision placement, type of irrigation at the time of the original surgery, IV antibiotics at just the right time before surgery and the surgeon’s technique. A no touch technique using such operative aids as a Keller funnel are all thought to reduce the risk of capsule contracture. Over the last 5 plus years of using Sientra breast implants, I have religiously followed all of the best practices that are currently available for breast implant placement and, to date, I can honestly report that I have not had a bona fide breast implant capsule contracture case that I am aware of. Rotation of Shaped Breast Implants. Shaped implants have been reported to rotate so that a tear drop implant turns upside down. Again, Sientra, in the 10 year FDA study, had a very low rate of this problem and when compared to the 10 year studies that the other companies have done, Sientra came out the winner. I use a lot of shaped or tear drop shaped breast implants since that is what most women need especially if they had a large weight loss or have had a pregnancy. In general, breasts that just need some added volume do well with round implants but that is not the case with many women who seek a breast augmentation. These women want and often need more volume but they also need restoration of shape. Sientra’s Breast Implant Warranty is the Best in the Industry. I could explain it but why not take a look at what Sientra has to say. Sientra OPUS™ implants, featuring High-Strength Cohesive Silicone Gel technology, are among the safest implants the industry has ever seen. That said, should you ever need us, you can rest easy knowing that we stand behind our implants and behind you every step of the way. The Sientra warranty is the best in the industry. Sientra’s textured implants can be placed above the muscle. Because these breast implants feel so natural and because of their textured surface, they can be placed above the muscle, the problem of breast animation or muscle flexion deformity can be completely avoided. Since “muscle or pectoralis flex” deformity due to breast implants being under the muscle is one of the reasons that many women seek re-operation of their breast implants, using Sientra textured breast implants above the muscle completely avoids this problem. In the last 5 years, since I have been using Sientra breast implants, none of my patients have had this problem and they universally say how natural their implants feel as compared to their friend who have had other implant types. With textured implants like Sientra’s breast implants, a pocket that is exactly the size of the implant is made and there is no extra dissection. I have found over the years that I have been using them, that there is less bleeding, and therefore bruising, after surgery and this helps to reduce the pain from a breast augmentation post operatively. This reduced pain helps to make the 24 hour rapid recovery breast augmentation possible. My patients are up and around hours after surgery and no one ever needs any narcotics. I could say more about this rapid recovery or flash recovery as some people call it but there is a whole page on this here. All of this is pretty awesome. When you are considering breast augmentation, don’t forget that implants do not last forever, but quality implants backed by a solid warranty will be a wise investment. This warranty is essentially a free 20 year insurance policy on your breast implants and your breast augmentation. 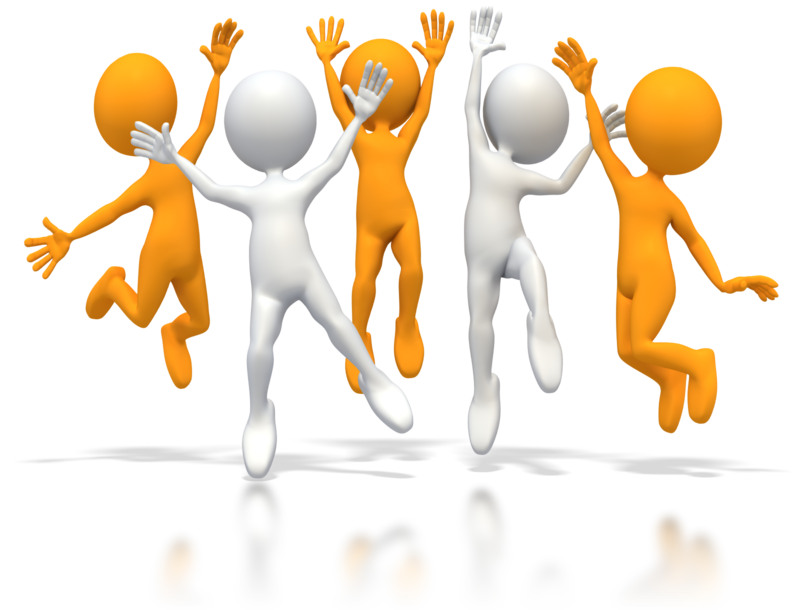 I can’t think of any other reasons why I use Sientra’s other than the company and its representatives are all really nice people who provide unexcelled service over the years that I have dealt with them. That is not to discredit the representatives from other breast implant companies whom I know and like very much but the group from Sientra has been hard to beat. All of that said. I have to ask women considering breast augmentation, why would you go anywhere other than to a surgeon who uses Sientra breast implants?